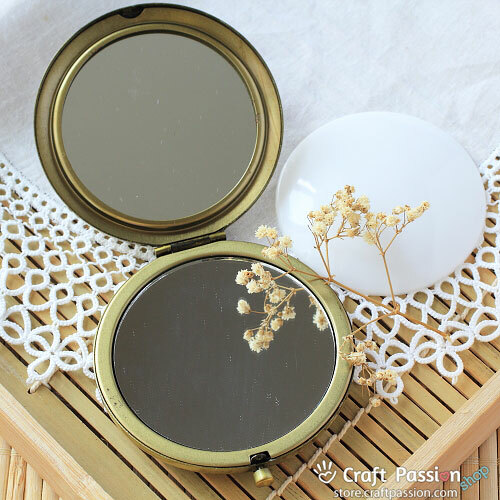 High quality folding compact pocket mirror case has two mirrors inside, a regular mirror on one side and a close-up mirror on the other. 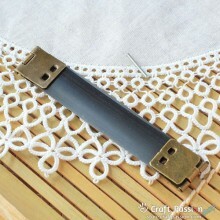 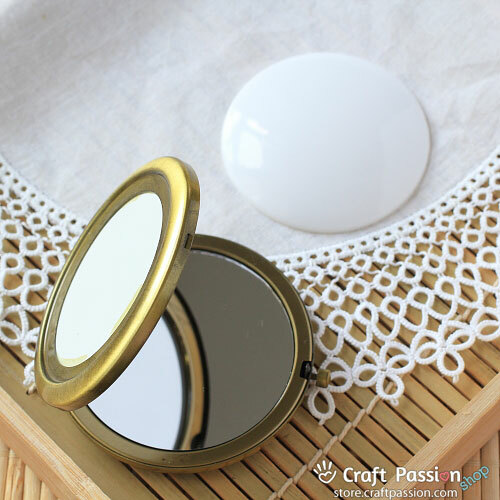 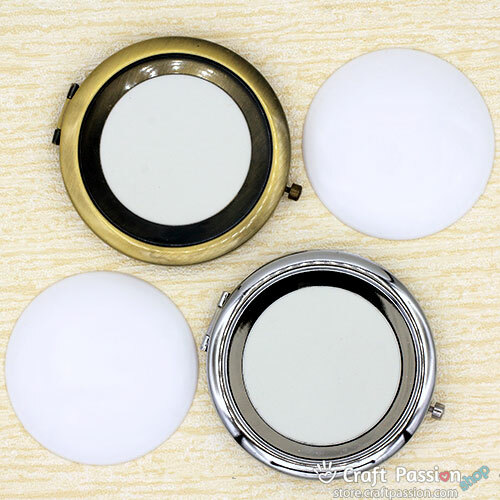 The top of the mirror case is blank and you can craft on it with the plastic plate that comes with the mirror. 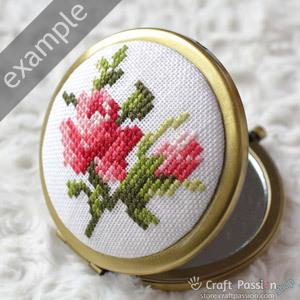 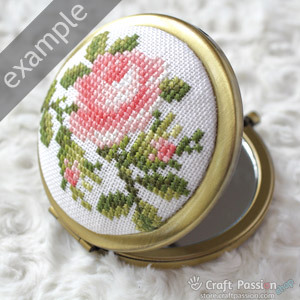 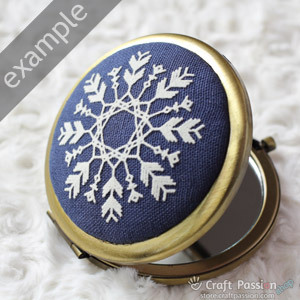 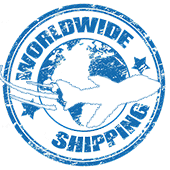 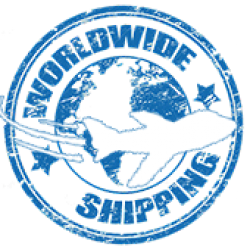 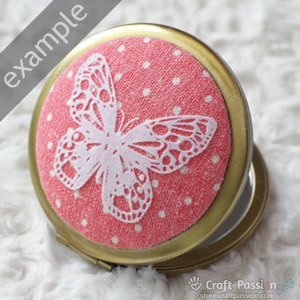 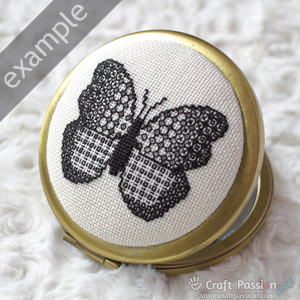 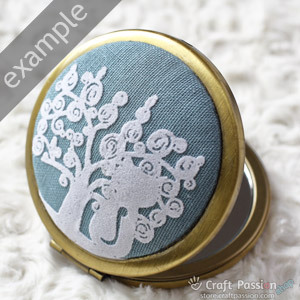 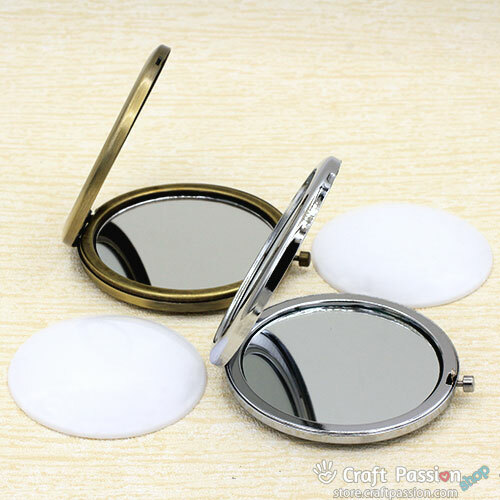 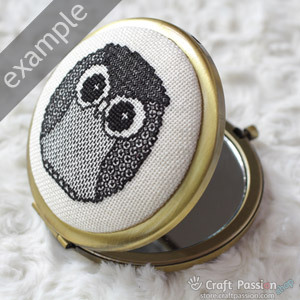 You may wrap it with your favorite fabric, decoupe your favorite image to personalize your own unique compack pocket mirror. 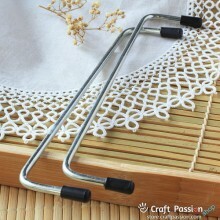 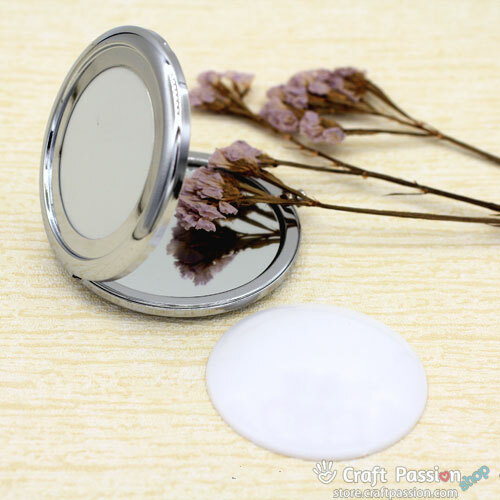 Glue it on the mirror with high strength glue. 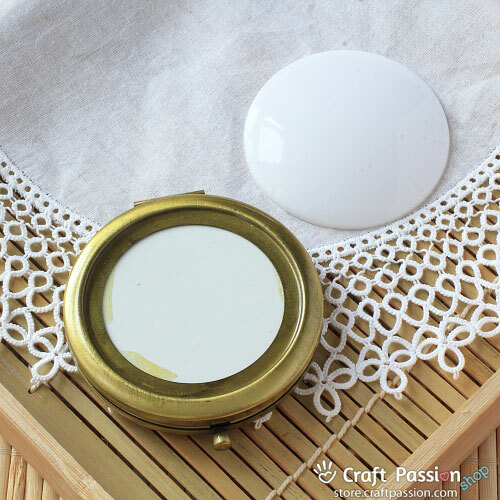 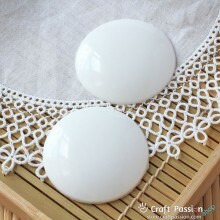 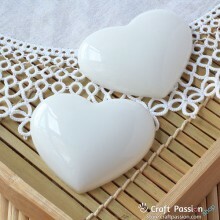 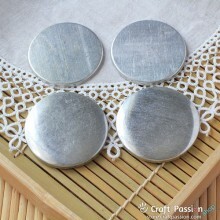 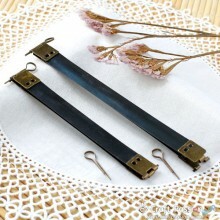 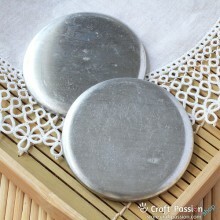 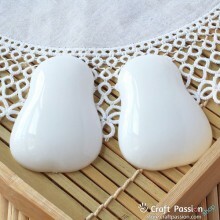 Or, you may omit the plastic plate and glue an image directly on the mirror, seal it with resin coat.